Away from the BMW Berlin Marathon and the Morrisons Great Yorkshire Run, there were a number of other events of note. You can read an online Berlin Marathon report here, with more in the October 1 edition of AW magazine, while footage of the elite men’s race can be viewed here and women’s elite race footage found here. Morrisons Great Yorkshire Run highlights can be read here. 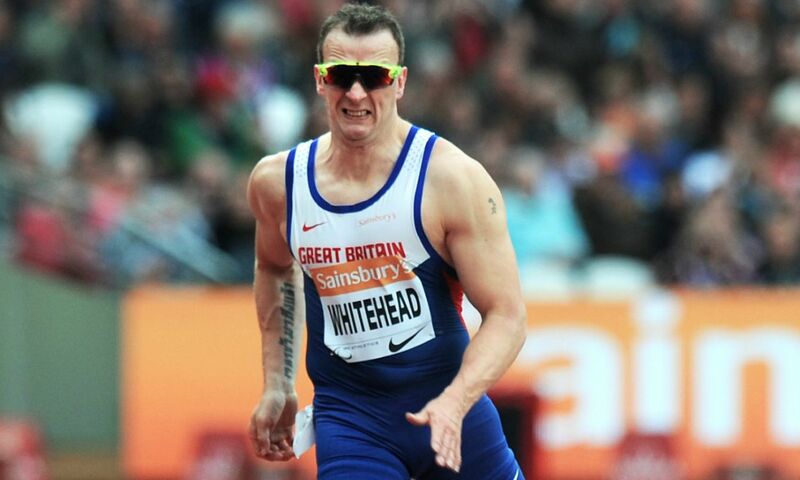 Paralympic champion Richard Whitehead set an unofficial T42 200m world record of 24.26 to improve on his previous best of 24.38. Double European T35 champion Maria Lyle also went quicker than ever before, running 13.90 for 100m and 29.24 for 200m. Hannah Cockroft’s impressive winning streak came to an end as she was beaten by Kare Adenegan in the T34 400m – 62.68 PB to 63.22. The double Paralympic champion returned to her winning ways over 100m and 800m, clocking respective times of 17.78 and 2:04.51. World bronze medalist Paul Tanui clocked 27:37.13 to win the 10,000m ahead of his Kenyan compatriot James Mwangi’s 27:43.25. In the women’s race, world 5000m finalist Ayuko Suzuki won in a PB 31:48.18 ahead of Kenyan Sally Chepyego’s 32:03.96. James Baker won the men’s race – his 675th race victory – in 71:08. Amy Harris won the women’s race in 82:09. Martin Duff’s report will appear in this week’s magazine. Megan Crawford won in a women’s course record of 2:44:50. Tarus Elly won the men’s race in 2:25:19. Neil Renault won the men’s race in 30:33 and Scottish 10km champion Shona McIntosh added to her victories with a win in 35:17. Chris Cheruiyot won in a time of 65:40 while Teresiah Omosa won the women’s race in 76:31. Former junior international Alice Braham was second in 79:06. World masters 10,000m champion Kojo Kyereme won easily in 67:50. Sam Amend was first woman in 82:50. Current Running Monthly cover star Nell McAndrew won in a time of 39:16. Kenyan Abraham Cheroben ran a PB of 27:35, the second fastest time in the world this year, to win the Singelloop 10km. Kenyan Ezekiel Omullo won the PZU Warsaw Marathon in a PB 2:09:19. There was also a Kenyan women’s victory for Ruth Wanjiru with 2:29:39. Rosie Smith was the fastest woman with 25:03 and Marc Fenwick the fastest man with 35:24 though first to finish the handicapped event were Jo Zakrzewski in the women’s and Michael Edwards in the men’s. Running for her college Virginia, Britain’s Iona Lake won the 5km cross-country in a time of 16:50. Worthing won the women’s race with Emma Macready running the fastest leg of 13:49. Brighton won the men’s race with their 18-year-old Stephen Ferroni’s 11:57 the quickest men’s time.